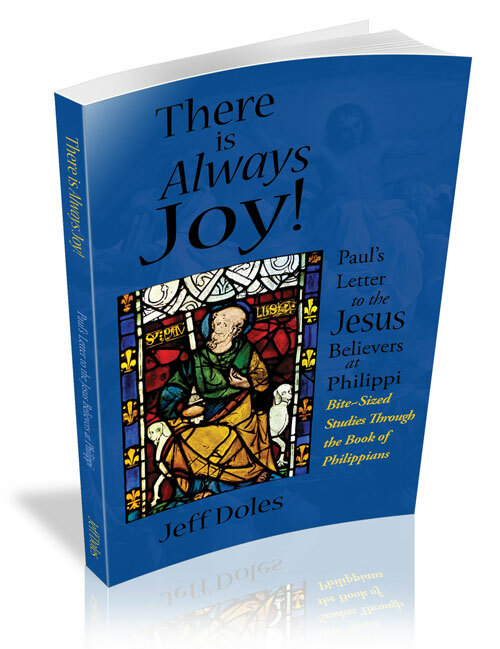 John 3:16 is one of the most well-known verses of the New Testament. It is regularly used in evangelism and is one of the first verses new Christians are encouraged to memorize. And who can forget “Rainbow Man,” with his multi-colored hair, holding a “John 3:16” sign at televised sporting events. Or Tim Tebow with the Scripture reference painted in his eye blacking. Usually people hear or read John 3:16 outside of its context, as though it was somehow plucked out of thin air or wafted down on a cloud one day. But it is actually part of an encounter between Jesus and Nicodemus one night. And it comes toward the end of the discussion, as a climax to the conversation. It can certainly stand on its own, at a certain level, and many people have come to the Lord through it. It is wonderful news, even all by itself. However, there is an even richer meaning that Nicodemus would have gotten from John 3;16. To understand it in the fuller sense in which it was originally intended, we need to go back to the beginning of Jesus’ conversation with Nicodemus. Because the whole thing, from beginning to end, is all of one piece. So let’s take a brief look. Nicodemus came to Jesus one night and said, “Rabbi, we know that You are a teacher come from God; for no one can do these signs that You do unless God is with him” (v. 2). Jesus responded in a way that did not address Nicodemus’ words but instead one that answered his need: “Most assuredly, I say to you, unless one is born again, he cannot see the kingdom of God” (v. 3). Nicodemus was confused by this, but Jesus said it again, in a bit broader fashion. “Most assuredly, I say to you, unless one is born of water and the Spirit, he cannot enter the kingdom of God” (v. 5). Clearly, the theme of these statements is the kingdom of God. “Born again” is what people usually focus on in this part of the conversation. However, being “born again” is not the end toward which Jesus was directing Nicodemus. It is a necessary means to that end. The new birth is necessary in order to “see” and “enter” the kingdom of God. The kingdom of God is the main concern, and it is through the new birth that one becomes a part of it. The concept of the kingdom of God was not something new Jesus originated. It was the long held Jewish expectation that arose from the promises and prophecies God gave in the Old Testament. It was about the age to come, the messianic age, when God’s Son, the “Messiah” (which means “Anointed”), would be king over Israel and all the nations. Psalm 2 portrays this promised reality. In Psalm 2:2, we read about the LORD’s Anointed, who turns out to be God’s Son (v. 7), and the one whom God would set as King over Israel (v. 6). To Him are given all the nations (v. 8) and they are called to submit to Him and serve Him with reverence and rejoicing (vv.10-12). Now that kingdom had come into the world. It is what the preaching of Jesus was all about. Mark tells us, “Jesus came to Galilee, preaching the gospel of the kingdom of God, and saying, ‘The time is fulfilled, and the kingdom of God is at hand. Repent, and believe in the gospel’” (Mark 1:14-15). His teaching was all about the kingdom and His miracles demonstrated the world-changing reality of the kingdom that was now at hand. As we can see from John 2:2, Nicodemus was not unfamiliar with the teaching and miracles of Jesus, and would no doubt have recognized that it was somehow concerned with the God’s promised kingdom. In view of the messianic kingdom theme that begins in verse John 3:3, when verse 16 speaks of God’s Son being given out of God’s love for the world, it has great messianic significance. God’s Son is the one God has uniquely anointed to be King over Israel and the nations — that is, over all the world. “Eternal life,” in John 3:16, also carries this theme. We often think of “eternal life” as life that lasts a really, really long time (forever, in fact). And indeed it is. However, it does not tell us just about the length of that life. More importantly, it tells us about the nature of that life. The Greek words for “eternal life” are zoen (“life”) and aionion (“eon,” or “age”). Literally, it would be the “age life,” or the “life of the age.” But what age would that be? It is the age God had long promised His people: the age to come, the messianic age — the age of God’s kingdom. In John3:3-5, Jesus said that one must be “born again,” born of the Spirit, in order to participate in God’s kingdom age. This new “birth” speaks of the life of that kingdom. It is the life of God’s kingdom age. In verse 16, Jesus explains how that new life comes: through faith in God’s Son (who is the Messiah, the one God has anointed to be king). Those who believe on Him receive the life of the age to come, which has now already broken into the world in this present age. It is new life that begins now and lasts forever, because the kingdom of God, which has now come into the world, will endure forever. The Bible records a number of accounts in which someone who died was restored to life. In the Old Testament, Elijah brought the widow of Zaraphath’s son back to life (1 Kings 17:17-24). When the son of a Shunnamite woman died, Elisha raised him from the dead (2 Kings 4:25-37). A dead man who was thrown into Elisha’s grave was restored to life when his body came into contact with the bones of Elisha (2 Kings 13:20-21). The New Testament records three people Jesus raised back to life. Jesus also sent His disciples out with these instructions: “And as you go, preach, saying, ‘The kingdom of heaven is at hand.’ Heal the sick, cleanse the lepers, raise the dead, cast out demons” (Matthew 10: 7-8). In the book of Acts, Peter raised Dorcas back to life (Acts 9:36-42) and Paul raised Eutychus back to life (Acts 20:7-12). 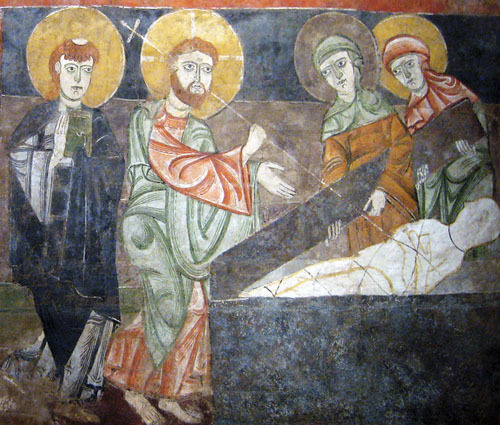 However, raising the dead did not end with Jesus and the apostles. It has continued down through the history of the Church. 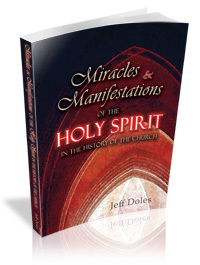 Here are some examples, abstracted from my book, Miracles and Manifestations of the Holy Spirit in the History of the Church. St. Augustine, in his City of God, tells of a Christian woman of Caspalium who became ill and died but was restored to life. Also a young Syrian girl at Hippo, the son of a man named Ireneaus, and an infant that died — all brought back to life in the name of Jesus. (NPNF, First Series, Vol. 2, The City of God, Book 22, Chapter 8). Archbishop Benson Idahosa, of Nigeria, restored to life an infant girl who had been dead for two hours. He also raised his wife who had been dead for over a half hour. British evangelist Smith Wigglesworth is said to have raised 13 or 14 people from the dead. Roberts Lairdon records one of these in his book, God’s Generals. Stanley H. Frodsham describes a few other in Smith Wigglesworth: Apostle of Faith. Roland and Heidi Baker, founders of Iris Ministries, tell of many who have been raised form the dead in Mozambique. They record some of these in their book Always Enough: God’s Miraculous Provision Among the Poorest Children on Earth. Ben Peters, of Kingdom Sending Center, reports numerous modern-day resurrections in his book Resurrection: A Manual for Raising the Dead. David Hogan, founder of Freedom Ministries, an outreach to the peoples of Latin America, records numerous resurrections. Reports of this ministry estimate that out of 2,300 attempts, about three hundred have been raised from the dead. Early in 2002, Christ for All Nations, founded by evangelist Reinhard Bonnke, released a video called Raised From The Dead: A 21st Century Miracle Resurrection Story. It documents how Daniel Ekekchukwu, a Nigerian pastor who was fatally injured in an automobile accident, was certified dead and even embalmed, was miraculously restored to life after three days through prayer and faith in the name of Jesus Christ. James Rutz recounts that same incident in his book Megashift: Igniting Spiritual Power. He also gives several other examples of the dead being restored to life in Guatemala, Mexico, South Africa and India by the power of the Holy Spirit. One woman he interviewed, a sixty-year-old Dalit from New Delhi who converted to Christ, was involved in sixteen resurrections in the six years she had been in ministry. 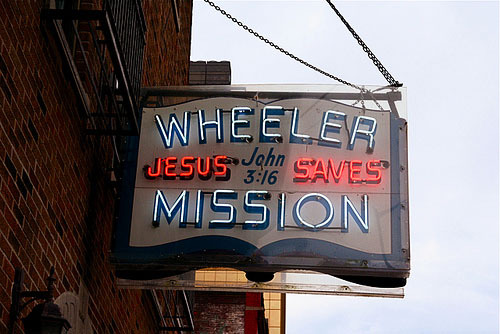 Here are a couple of recent videos about Jesus believers bringing the dead back to life. Miracle on Rama Cay Island from Global Celebration, the ministry of Georgian and Winnie Banov. DEAD RAISER (Official Trailer) HD from Mountain Light Cinema. You can find additional examples here. God is still doing what He has always done in His Church. Someone has argued, publicly, that public arguments should not be based on faith claims. Sounds like he was making a public faith claim about public faith claims, in which case his argument is self-defeating. Faith is an understanding. Faith is a decision one continually makes. Faith is a commitment. Christian faith is enabled by God: Faith comes by hearing and hearing by the Word of God, and no one can confess, apart from the Holy Spirit, that Jesus is Lord. Because of the divine element involved, faith is more than merely a preference. 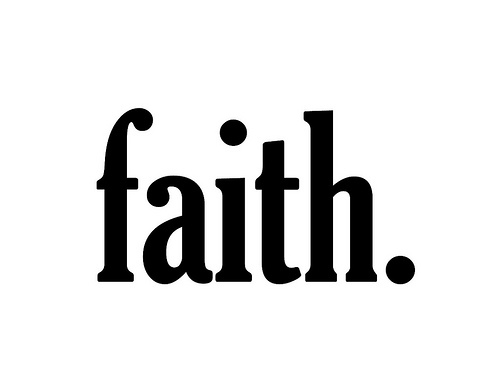 Faith is also more than private, because it affects every area of one’s life, both private and public. Everything comes down to faith claims because everything comes down to one’s philosophy, worldview, presuppositions or assumptions. Eliminate all faith claims and you eliminate all discussion about anything. It is important, then, to be able to identify what our philosophies, worldviews, presuppositions or assumptions are, to recognize what lens we are looking at the world through and how it might affect how we see. Our presuppositions are not irrelevant. They are the foundations upon which we build the rest of our thoughts. They are the lens through which we view the world and identify this as “evidence” or that as “fact.” Not all presuppositions, assumptions or philosophies are equal, and they must each be evaluated. And, of course, not everyone will agree on what value is to be given to each. But everyone should be aware of their own presuppositions (actually, the complex of presuppositions they hold), and the nature of those presuppositions as being, ultimately, matters of faith. I acknowledge my presuppositions as including a faith in the existence of God, that He has revealed Himself in the world and that He has given us revelation of Himself in a holy book. Others do not share those presuppositions but presuppose the opposite. However, if they claim to have knowledge that is not based on revelation, even that begins with presupposition. For example, it is a presupposition that there even is such a knowledge base apart from revelation, or of what that knowledge base consists. These are presuppositions of epistemology (principles of how we know anything). Every truth claim is essentially a faith claim, a statement of what one believes, for whatever reason, revelatory or non-revelatory, to be true. Every claim to knowledge is likewise a faith claim, a statement of what one believes he knows. The man who is aware of his faith claims (philosophies, presuppositions, etc.) has an advantage over the man who is not. Let every faith claim, then, come to the table and be analyzed. However, to analyze a faith claim one must first be aware of the faith claim they are bringing. The person I referred to above made a faith claim about faith claims and apparently did not even realize he was doing so. The result, in this case, was the incoherence of making public the faith claim that faith claims have no business being made public. Do you see it? Can you identify the common theme? Acts begins with Jesus during the forty days between His resurrection from the dead and His ascension to His throne in heaven at the right hand of the Father. And what does He do during those forty days? He speaks to the disciples about things pertaining to the kingdom of God. 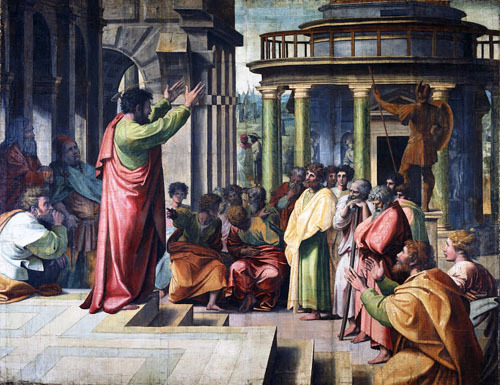 The book of Acts closes decades later with Paul under house arrest in Rome for preaching the gospel. He was there for two whole years. And what does he do during all that time? What is the theme of His preaching and teaching? The kingdom of God, and everything that concerns King Jesus the Messiah. What do you think is the significance of that? And what do you suppose that says about all that is recorded in the middle, between the beginning and the ending?